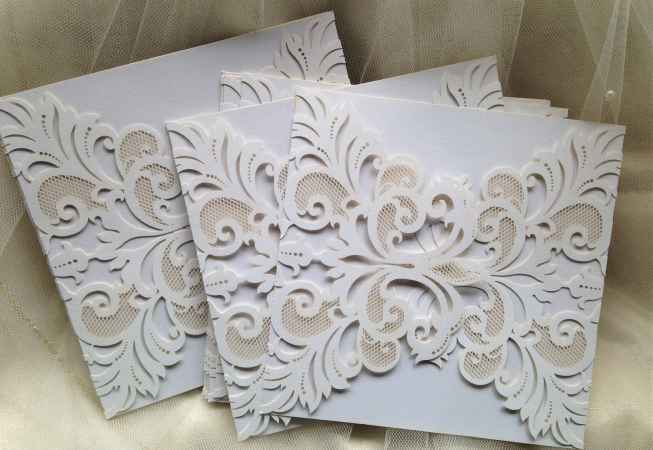 DIY Laser Cut Wedding Invitations for brides making their own wedding invites. 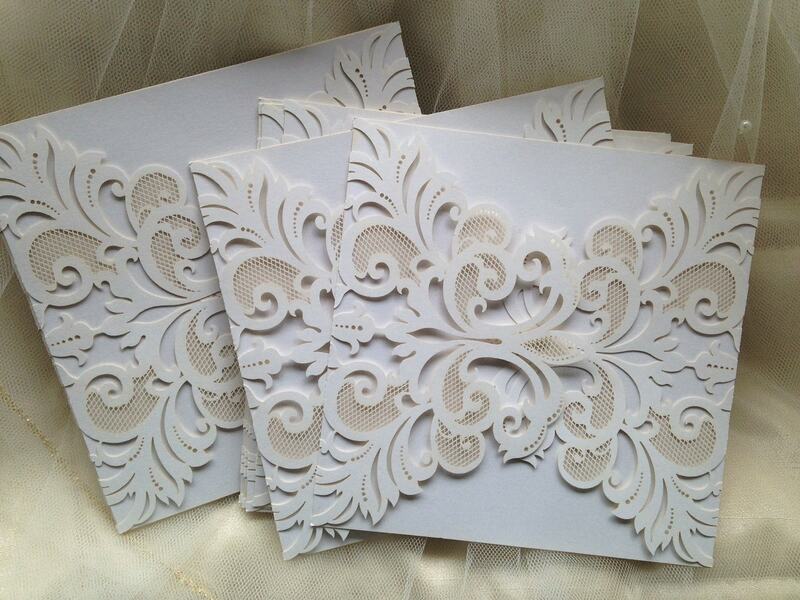 Stunning laser cut invitations produced in a silver pearlescent paper. 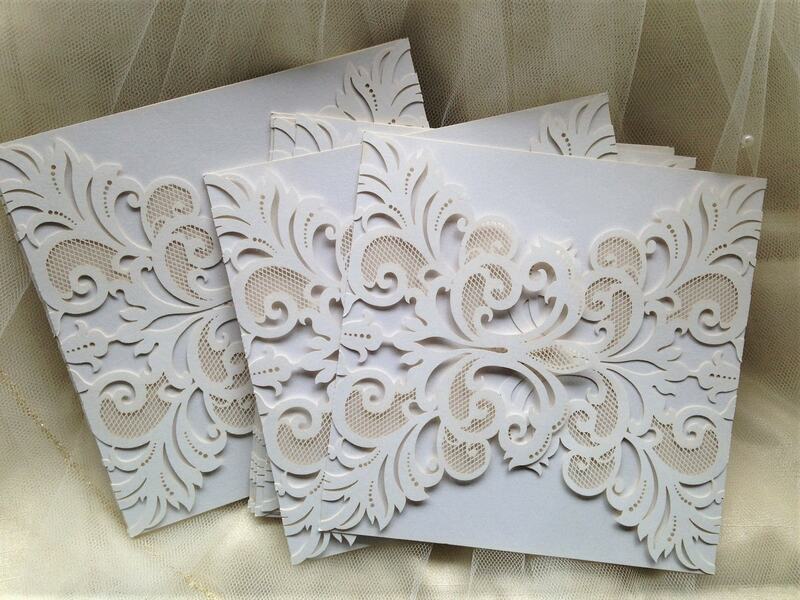 If you prefer us to make your invitations then take a look at our Silver Laser Cut Wedding Invitations, our prices are extremely competitive for printed and fully assembled invitations. 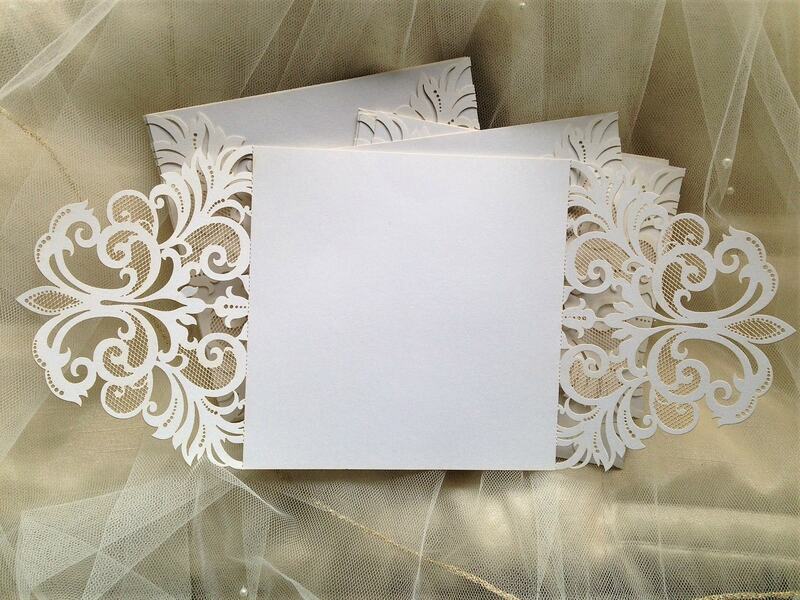 14.5cm x 14.5cm when closed.